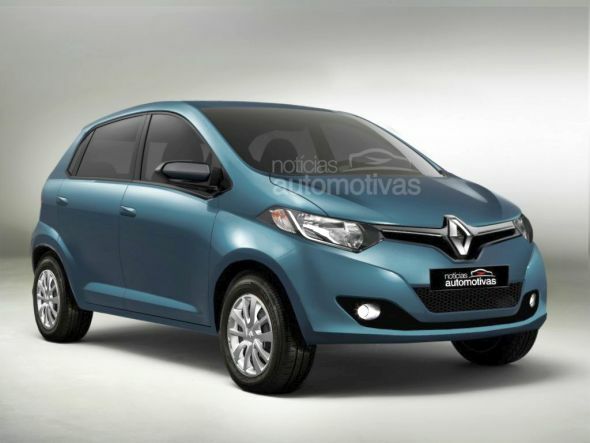 Next year, Renault India will launch the production version of the A-Entry hatchback, also code-named the XBA. The Renault A-Entry will be the least priced car sold by the French auto brand in India. The A-Entry will be based on the Renault-Nissan automaking alliance’s CMF-A platform. A couple of renders of the upcoming hatchback have surfaced. An acronym for common module family, the CMF platform is Renault-Nissan’s answer to the Volkswagen MQB platform, in terms of parts, production facility and platform sharing. The first car to be built on the CMF-A platform in India will be the Datsun Redi-Go, which will be followed by the Renault A-Entry (XBA). 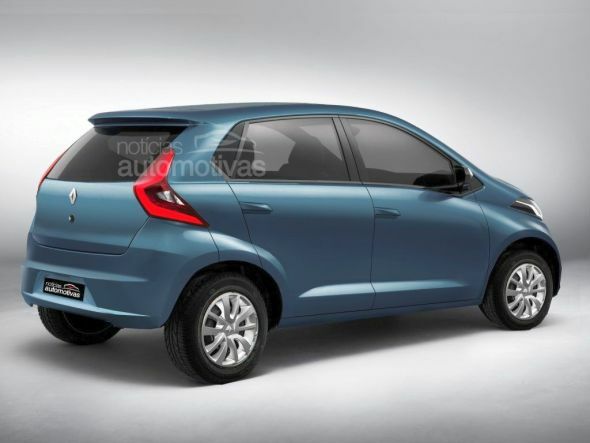 The Renault A-Entry will share the CMF-A platform with the Datsun Redi-Go. A triple cylinder, 800 cc petrol engine is currently under development at the Renault-Nissan Technical Center in Chennai and this motor will be used both on the Redi-Go and the A-Entry. With recent talk suggesting that Nissan is looking at the automated manual transmission (AMT) option for the Datsun Redi-Go, the same could be outfitted to the Renault A-Entry as well. In terms of positioning, the Renault A-Entry will be priced higher than the Datsun Redi-Go and is also likely to come with a larger set of features, in keeping with the French car brand’s premium positioning, vis-a-vis Brand Datsun. While the Renault-Nissan joint manufacturing facility at Oragadam, off Chennai, will be a major production base for the A-Entry and Redi-Go hatchbacks, Renault will also produce the A-Entry at other locations. Brazil is one such emerging market that is in the cross hairs of the new Renault budget hatchback. The A-Entry and the Redi-Go are being developed from scratch in India. With design, development and production activities taking place in India, both cars will also be produced with a large amount of local content in order to keep costs low.